Do you find that the months go by faster and faster or is it just me. I have been told that the older you get the faster the years go by and they weren't kidding. It feels like I was just writing last month's SRS and here it is again time to write another post. I am always so good at going to the blog that I have been assigned to as soon as I get the name. I scour through all the recipes, reading, writing them down so that I have an idea of what I am going to make. I can usually narrow it down to about five recipes that I am wanting to make and then I put things away... And the days past by quickly.... and here it is the time to start writing and I have to first make my recipe. Procrastinator that is what I am and I don't really think I will change. This month I was lucky enough to get Jaime from Mom's Test Kitchen. I loved going through her blog, and finding new recipes. I had never been over to Jaime's blog so everything was new. I loved how she had it set up and I also loved how she indexed her recipes.. It was so easy to find them. To find all her great recipes, head over HERE. 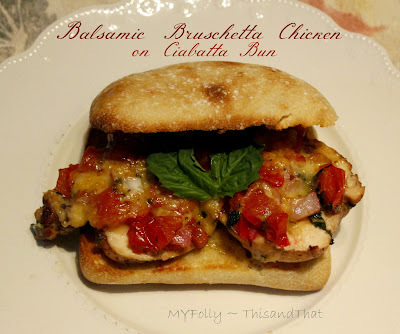 The recipe I picked to make was Balsamic Bruschetta Chicken. I, unlike Jaime was able to enjoy my preparation and also enjoy tasting the final product. There was no one else home but me to enjoy the final product as hubby is down state working. I am sure he will enjoy this meal so I will be making it again. My plans were to make this meal with spaghetti squash and I even made it but as it was cooking.. another thought came to mind. Bruschetta needs to be eaten with bread.... RIGHT? So, I decided to eat mine with chiabatta bread. I had just bought some rolls when I was shopping and that made this perfect. Mix first 3 ingredients together (balsamic vinegar, olive oil and garlic) for marinade. Put chicken breast in Ziploc bag and pour marinate over. Marinate for as long as possible. Mine were left to marinate for about 6 hours. Bake in 375 degree oven until juices no longer are pink or until chicken reaches 165 degrees. Bruschetta -In separate bowl, mix tomatoes, onions, balsamic vinegar, oil and spices. When chicken is done, I then place it in a pan with a small amount of oil and browned both sides, I then cut the chicken in half as they were thick pieces. Top chicken with bruschetta and add grated cheese. Place under broiler until cheese is melted. 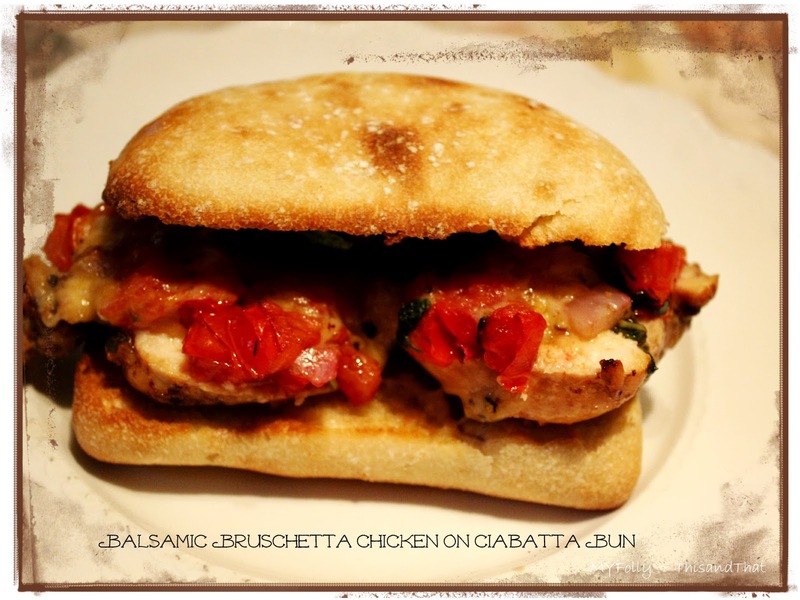 While chicken is under the broiler, toast ciabatta buns. Spread garlic butter over and add a couple of slices of cheese on the bun and melt under broiler. Place balsamic bruschetta chicken on bun and enjoy. This recipe was delicious. The flavours were magnificent. I did have a small amount of bruschetta left over but I will be eating that with my spaghetti squash that I made to eat with this meal. 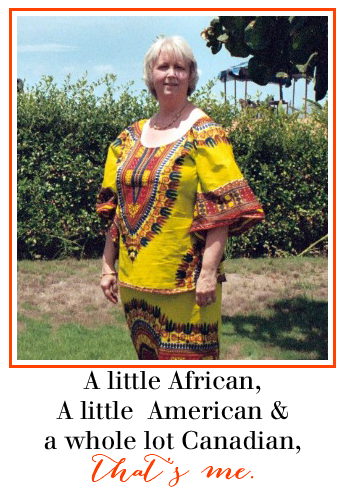 If you would like to join this group, click on the button below and fill out the form. Each month you will get a new blog to check out and you have to the 20th to decide and make your recipe. It is a lot of fun and you meet new bloggers and gain new friends. Check it out, Jutta from Hungry Little Girl does a wonderful job in arranging and making sure everything works. mmm that does look and sound good. Pinning for later. Hope you like it Jutta if you try it. We love balsamic anything in our house! I am definitely pinning this one to try soon! Thanks Erika, hope you like it. New follower from the Surprise Recipe Swap! This sandwich looks so delicious! Thanks Michelle, heading over to your blog..
Bibi... didn't you just post some brownies on your facebook page... you shouldn't be to hungry :)... But I have to say this was delicious. This looks really good!! Pinning to try later. I'm visiting today from My Mixing Spoon. I co-host a Linky Party Tuesday (open thru Sat) and I'd love for you to link up! 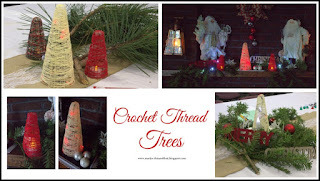 I hope you get a chance to stop by, link up and leave a comment, too! G'day! Doesn't get any better than bruschetta! This sounds wonderful, will have to try it! I love everything about this, this is recipe after my own heart.